For those of us who are often guilty of making mistakes, or acting foolishly on impulse, vindication can often feel like a long time coming. Even though there’s always the risk it will never arrive, you’ll always find yourself cherishing the moment it does. Now, those who read GamingLives regularly will know that I’m not one for using introductions as a way to communicate a personal tale to set the scene, so the following scenario may require a little imagination. Now, say that – hypothetically speaking – you jumped the gun and bought a new games console despite an unproven hardware gimmick and sketchy long-term support from the off. Then – stay with me on this – you watched that console collect dust despite wanting it to succeed and desperately wished you had something to play on it, while others foretold doom and gloom and predicted its demise. Say all of that hypothetical scenario was completely true, and not just a story I’m attempting to weave. Well, then imagine that suddenly, the makers of this purely hypothetical console made a title so brilliant, so inventive and so fun that, despite the months of neglect, you almost feel entirely vindicated for buying a Wii U in the first place. That’s Super Mario 3D World in a nutshell. Brought to you by Nintendo EAD Tokyo – the masterminds behind Super Mario Galaxy and Super Mario Galaxy 2, two of the greatest videogames ever made (the latter is tied with Ocarina of Time as my favourite game ever) – and acting as a spiritual sequel to Super Mario 3D Land – the best-selling 3DS title to date – it’s Nintendo’s biggest push so far to convert the masses to the flustering Wii U, setting the path for Mario Kart 8 in Spring and the new Super Smash Bros later in 2014. The plot is as basic as they come: Bowser’s stolen some Princesses, and Mario, Luigi, Toad, and Peach have to free them in order to unlock the end credits. 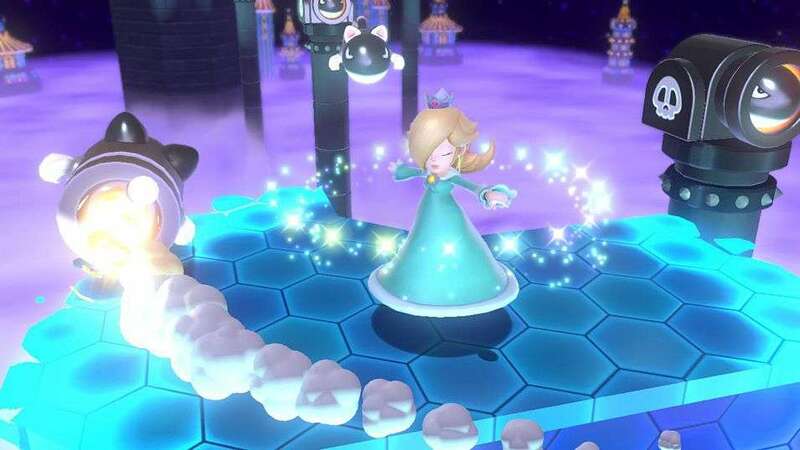 For the first time since Super Mario Bros 2 on the NES, Princess Peach is one of the core playable characters in a mainstream Mario platformer – we try not to talk about Super Princess Peach – and everyone’s abilities are essentially the same as they were back in the day. The ever-iconic Mario is the all-rounder; Luigi can jump higher and fall slower than his brother, but is balanced by his relative lack of traction and grip; Peach can float for several seconds after jumping, but isn’t as quick as anyone else on the roster; and Toad runs and falls faster than the rest, but has the lowest jump height. Admittedly, these differences are often more subtle than you would expect and, while they’re certainly noticeable, I never found myself having to entirely adapt my play-style to using a certain character, and you’ll rarely be at a disadvantage through picking one over another. If you’re tackling the adventure by yourself, there’ll often be an incentive to swap to a certain character in particular levels where a collectable will be hidden away until a button is depressed, with the symbol on it denoting who needs to jump on it to reveal the hidden objects. 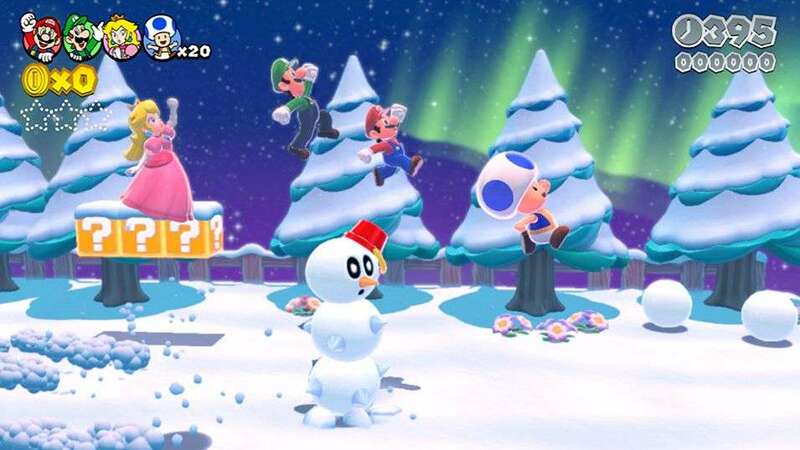 Swapping between Mario, Luigi et al is as simple as pressing a button in the over-world or as the level starts, and other players can drop in or out of gameplay with absolute ease. 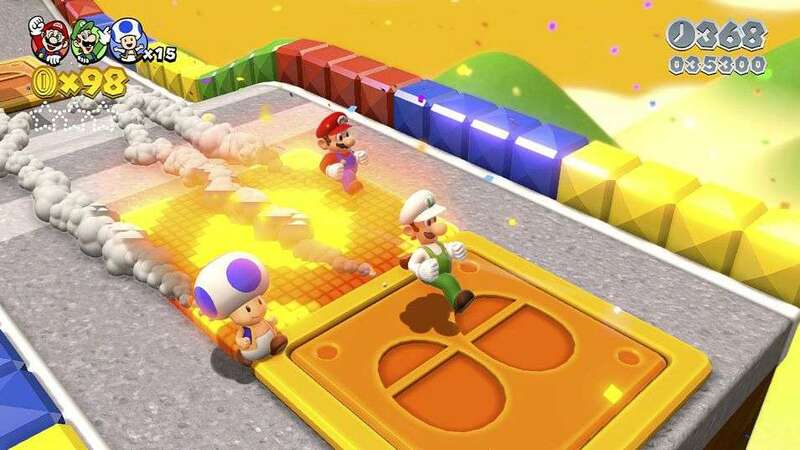 It’s clear from the amount of attention given that every level has been made with up to four players in mind, and the 3D environments are far more accommodating for multiple players than the New Super Mario Bros series has proven to be in the past. 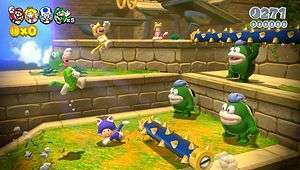 That series has also evidently inspired some of the features of Super Mario 3D World which, for the most part, seems intent on eradicating the mistakes and flaws that other multiplayer Mario platformers have come across in the past. For one, every player shares a single pool of lives, rather than each having their own stockpile. This has the handy benefit of having no arguments over who gets to grab the One-Ups, and also prevents you and your friends from sacrificing your friends or throwing them into oblivion to solve or instigate said conflicts, or for a cheap laugh. The system allowing players who’ve been offed – or who are preventing themselves from losing a life if they’re particularly savvy – to come back encased in a floating bubble is also present, but with a tweak that allows anyone trapped to break themselves free, rather than be held at the mercy of others who may deliberately choose to keep you floating for all eternity. Not every machination is designed to encourage everyone to work together in total harmony, however, and this is proven by the inclusion of the crown. After every stage completed in multiplayer, your individual score is tallied and compared to anyone else playing, and whoever has the highest score will then don a crown for the next level. 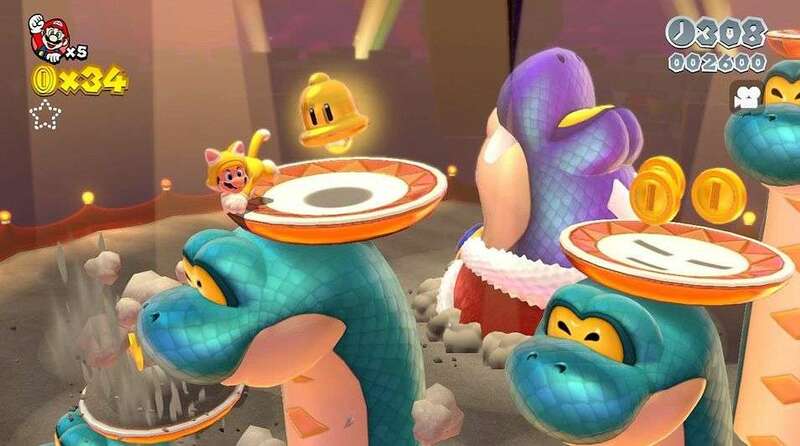 This regal headwear will fall off if the player takes any damage – although they can retrieve it afterwards – and the character wearing the crown when everyone is sliding down the flagpole will be given a large points bonus as a reward. This formula of co-operative-yet-competitive multiplayer that Nintendo established with The Legend Of Zelda: Four Swords is arguably stronger here than it has been before, as the friends I had recruited to play with me on separate occasions were intent on having the crown as their own after only a single level. 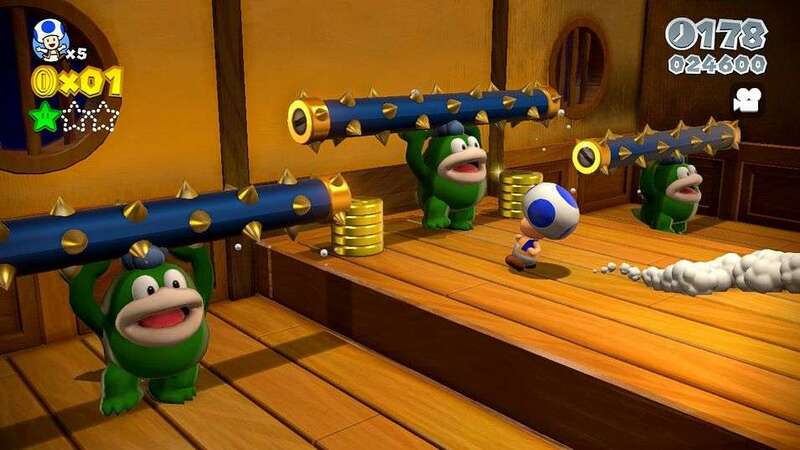 One of the easiest ways to rack up the points is to hunt down the green stars and stamps that are scattered across each level. 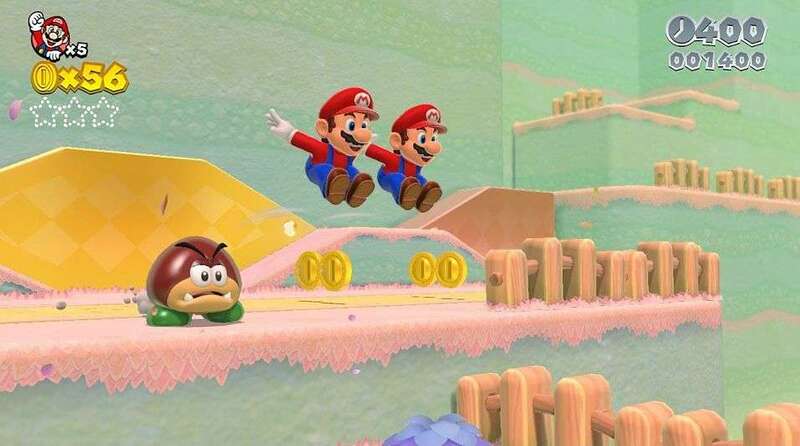 Besting your friends isn’t the only incentive needed to catch ‘em all, as stamps will provide you with custom images of Mario and co that you can use in messages you post on the Miiverse – often after reaching the flagpole – while stars are needed in order to unlock additional stages and gain access to the boss levels that shut off access to the next world until conquered. Admittedly, while only the stars are needed to reach the end of the game and unlock the extra worlds afterwards, you’ll find yourself compulsively re-combing the levels to make sure you have absolutely everything before long. 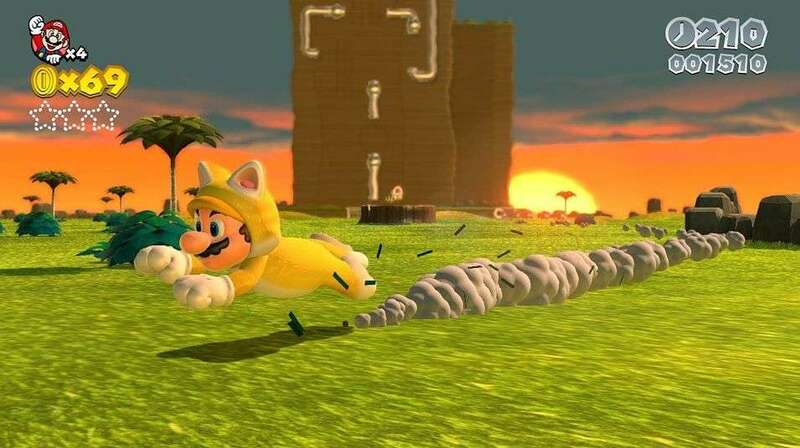 To assist in their quest, the Mushroom Kingdom’s finest have a few new power-ups to add to their arsenal, from clone berries to boxes that act as turrets and bells that turn the characters into cats. 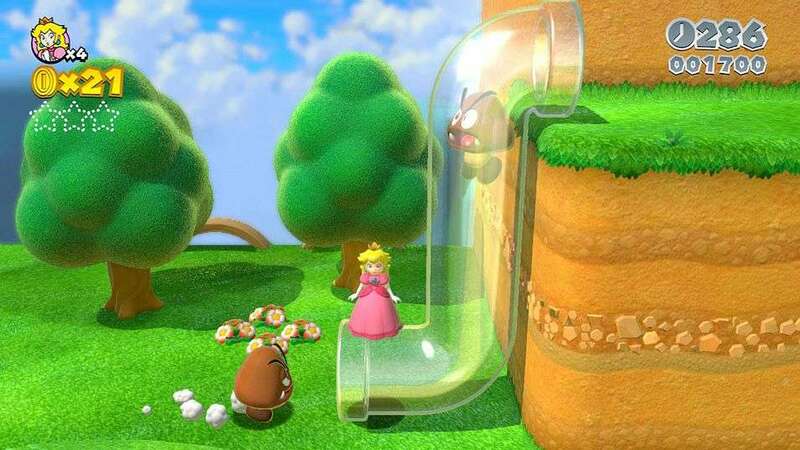 The latter items were by far the most advertised feature in the lead-up to release, and – much like the Tanooki suits returning in Super Mario 3D Land – will be the ones you’ll come across most in your adventures. Bestowing those who equip it with the power to climb the scenery, claw at foes, and pounce from the air, it’s a very powerful tool in your arsenal, but never to the point where it feels overpowered, or that you need it to finish everything the game has to offer. Granted, some stars and stamps are easier to locate and acquire as a feline but, unlike Super Mario 3D Land, the distribution of items is more balanced, allowing you to experience each item and new idea enough that you’re well accustomed to their presence, but never to the point that they’re over-used. For example, the clone berries are a wonderful inclusion – grabbing one gives you an extra version of your character to play with, and while they move in sync, progression often requires you to find ways to split them up. For those who find themselves dying repeatedly on the same level, a bone is tossed in the form of the white Tanooki suit, which acts identically to its regular counterpart with the exception that it also makes the wearer invincible until they reach the flagpole. Whether you choose to use it or not is entirely up to you, but you won’t be penalised if you do decide to don it. 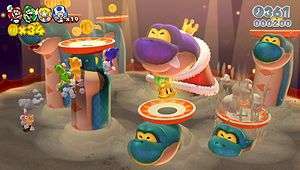 Not every level will require the use of power-ups, as some will see you riding Plessie the dinosaur, running a gauntlet to rack up as many green stars as possible, or taking control of Captain Toad. The Plessie stages are often fast-paced and linear affairs that require you to guide the monster through various hazards, but even though they’re fun, there’s often very little risk involved. Meanwhile, the gauntlets can see you nabbing up to ten green stars as you make your way through a variety of challenges against the clock. They can be difficult in the first few attempts, but luckily timing out can see you warped back to the beginning, allowing you to try again straight after failure, as long as you don’t lose a life in the process. 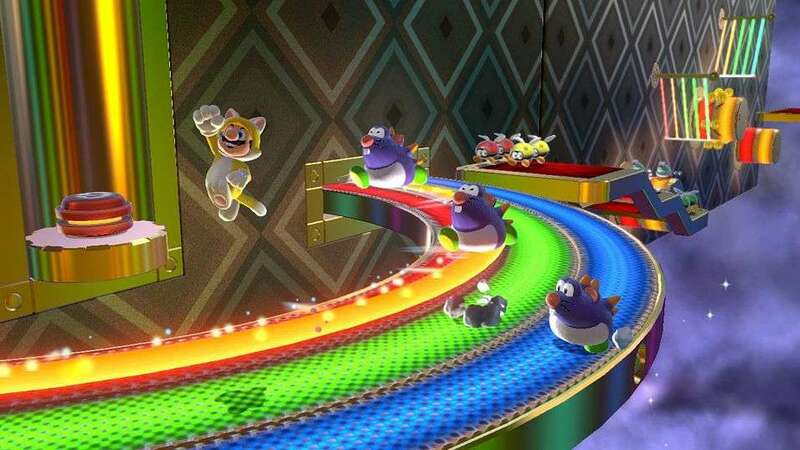 Then there’s Captain Toad, who makes a reappearance after starring in Super Mario Galaxy 2, who can offer up to five green stars per attempt in a series of puzzles that require use of the Wii U Gamepad’s capabilities, patience, and camera-swinging worthy of the finest Hollywood directors. 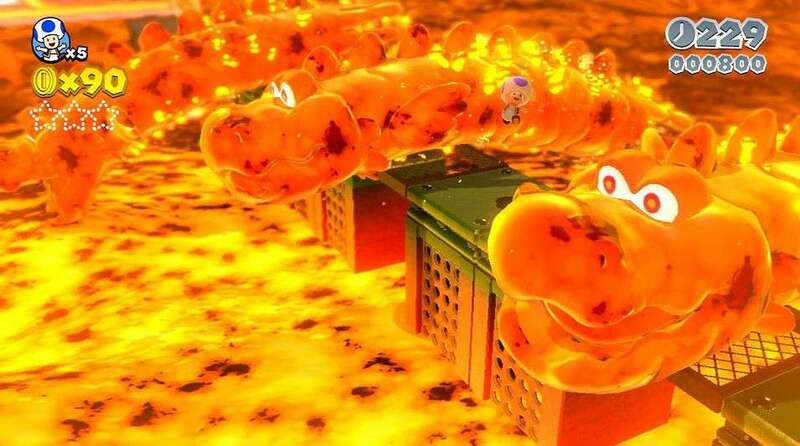 Ensuring that his sections play differently to those of the main cast’s, Captain Toad is unable to jump or use power-ups, meaning that the environment must be exploited in a multitude of ways in order to unlock all of the stars. Each of these ideas provides more innovation in just a handful of levels than some titles do their entire duration but, that being said, some of the comments on the Miiverse that show up after every successfully finished stage are crying out for an entire game featuring Captain Toad. 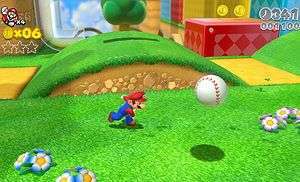 In many ways, it’s evident that Nintendo’s latest effort takes more than a few cues from both Super Mario 3D Land or Super Mario Galaxy, but Super Mario 3D World attempts to combine them both as best it can, and even though it’s often not a patch on the latter, it’s still by far the most exciting Mario platformer since. 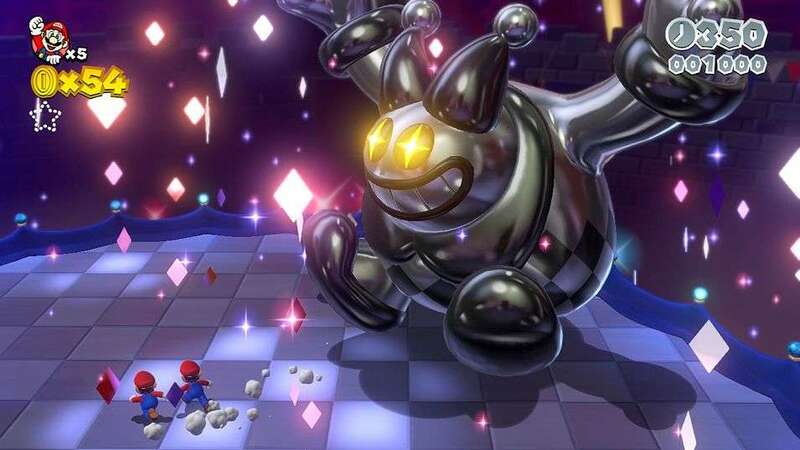 What seems to be the case is that World takes the aesthetic and presentation of 3D Land with the imagination and spirit of Galaxy, then attempts to trump both with the inclusion of multiplayer, which is handled with far more care and reverence than it ever was in the New Super Mario Bros series. In a sense, 3D World is a smorgasbord of every mainstream Mario platformer of the last half-decade, and even though it doesn’t quite carve out its own unique identity thanks to it being presented as a spiritual sequel to 3D Land, it still spawns its own impressive niche, and often goes above and beyond what you’d have initially expected of it. It’s not just the pitch-perfect platforming, innovative ideas, and gameplay that’ll consistently keep a smile on your face – even if you’re dying repeatedly – as it also comes with one of Nintendo’s best soundtracks since the Galaxy series. Instead of pre-occupying itself with sweeping orchestral movements, 3D World keeps things more jovial with an ever-upbeat series of musical numbers that take more than a few cues from jazz. There’s a mix of memorable and forgettable songs scattered throughout, but it’s more likely the case that you’ll find yourself belting out some of the tracks before long – I caught one of my house-mates subconsciously humming along after just a few levels, and the main theme will lodge itself inside my skull for days at a time. Adding to the wonderful aesthetic are the Wii U’s best visuals by far – proving that HD truly comes into its own when it’s paired with colours and some imagination, rather than grey, brown and grit. They may not be as breathtaking as the first time you laid eyes on either Super Mario Galaxy back in the day, but I often found myself having to stop and take in the beautiful surroundings, and may have lost a fair few lives in the process. 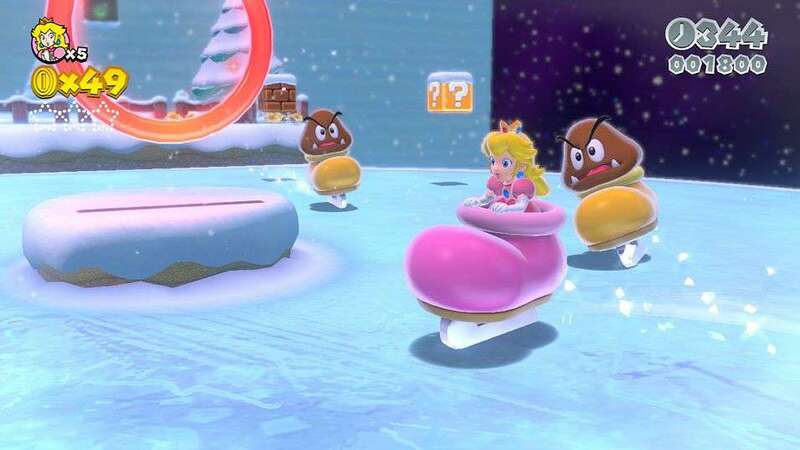 Super Mario 3D World truly is a sight to behold, complete with an amazing, uplifting soundtrack and gameplay that consistently surprises and entertains. It only requires the gamepad in a few optional circumstances, it often allows you to play how you want, and the difficulty curve is finely tuned and massively accomodating to players old and new, although veterans will probably find themselves relishing the harder levels more than those who weren’t born and raised on the antics of the italian plumber. After a year of languishing in sales, the Wii U needed a “must-have” title, and Super Mario 3D World is certainly it. It’s innovative, fun, and proves that no matter how many years the series has been going, it still knows how to provide some of the most iconic gameplay around. Wonderful, upbeat jazz soundtrack that'll lodge itself firmly inside your head for the foreseeable future. Pitch-perfect platforming, complete with great twists on established formulas and genuine innovations. Plenty of variety in level design and ideas on display, along with plenty of incentives to keep playing after the credits roll. Plays just as excellently in multiplayer as it does in single-player, with steps clearly taken to eradicate past issues with multiplayer Mario platformers. Will constantly surprise and entertain you, even when you least expect it. Beautiful visuals that showcase what HD can truly offer to those unconcerned with everything looking ultra-realistic. Doesn't try to force the Wii U's features down your throat thanks to minimal features requiring the Gamepad instead of an alternative control scheme. Varied cast of playable characters means there's plenty of different play-styles to adopt or experiment with. Constant use of the Miiverse after levels and on the over-world maps often feels intrusive, forced interaction, or adds very little to the experience. Multiple boss battles with the same foes with slight variations make some end-of-World encounters less fun and inventive than they should be. That being said, the final boss battle is one of the series' best. Can Bowser please think of something more original than kidnapping Princesses for unspecific reasons? Come on, guys. Despite lacking a title that you need a Wii U for for over a year, Nintendo have finally struck gold with Super Mario 3D World. It's an innovative, manic and always entertaining romp whether you're enjoying it with others or playing it solo. It's got one of the happiest, catchiest soundtracks of the last few years, and showcases more ideas in a few scant levels than some games can manage in their entire running time. It's a beauty to behold, and there's plenty to do and see long after the credits roll, and it's a title you'll keep coming back to time and again, not just because it'll give you a reason to turn on your Wii U, but because it's one of the most charming and fun platformers of the last few years. 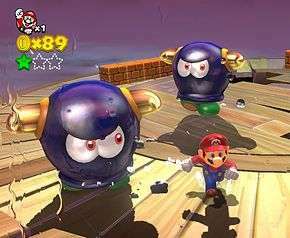 It may suffer slightly from being billed as a follow-up to Super Mario 3D Land rather than being presented as something else, and it doesn't come close to eclipsing either Super Mario Galaxy, but Super Mario 3D World is an absolute joy, and one that any fan of Mario in any of his incarnations would be a fool to miss out on.